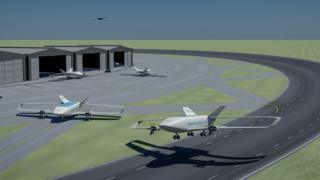 The Dutch engineer behind the idea for circular runways at airports has revealed plans to build a test runway for unmanned delivery drones. Henk Hesselink is collaborating with Valkenburg airport, a disused naval base near The Hague, which has ambitions to become a drone innovation centre. His design for circular runways at passenger airports captured global attention last year, in aviation circles and on social media. The point, he explained, was to make more efficient use of space, reduce tricky crosswind landings and cut down on noise pollution. Mr Hesselink, a senior research and development manager at the Netherlands Aerospace Centre, says growing demand for drone delivery services will call for “a network of drones”. While small drones will be used to deliver goods direct to your home, larger drone aircraft will be needed to carry goods to out-of-town distribution centres, he argues. These larger drones would be of a fixed-wing design like aeroplanes, rather than the quadcopter design favoured by hobbyists. These are more fuel efficient, fly for longer and can carry more cargo. But they need a runway to land and take-off – and this infrastructure, he points out, is not yet in place. “The circular runway concept comes at a perfect time,” says Hesselink. Drones are subject to less stringent safety rules than piloted aircraft carrying passengers. This may get round some of the safety fears raised about using circular runways, including the risk of aborted take-offs or landings. Drone delivery is being widely trialled around the world. Charities are using a drone-testing corridor in Malawi to test the feasibility of delivering medical supplies in areas where roads are poor. Businesses such as Amazon, UPS, Alibaba and Google are also developing drone delivery systems. Google’s Project Wing has been active in Australia since 2014 and even trialled delivering meals to people’s backyards last year. Amazon made its first commercial trial delivery in the UK in December 2016. However, drone deliveries in densely populated areas are likely to be severely restricted, according to Prof James Scanlan of Southampton University’s UAV (Unmanned Automated Vehicle) group. “You have to write out a safety case to the CAA (Civil Aviation Authority) an inch thick,” to fly the kind of aircraft Mr Hesselink proposes, he says. He also says it’s not clear whether drones will be required to have their own parallel infrastructure – their own airports and air corridors – or should simply share them with commercial aircraft and follow the same rules. 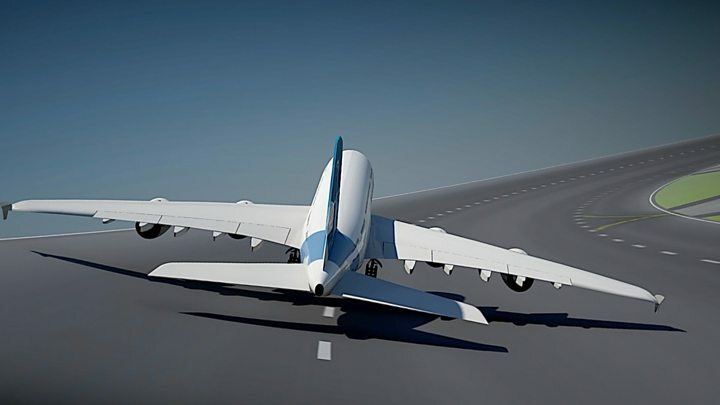 Mr Hesselink hopes that his circular runway project will be more widely welcomed as a solution for drone delivery logistics than it was as a proposal for passenger aircraft. A drone airport takes up far less room than a traditional passenger airport, he points out. A 300kg unmanned aircraft would only require a runway diameter of 600m, he says. He is currently building a consortium of financial backers to fund the test runway at Valkenburg. The story of Henk Hesselink’s circular runway was reported on the BBC’s World Hacks programme. You can listen to his update on it in our latest podcast, which catches up with the people who we met in 2017.